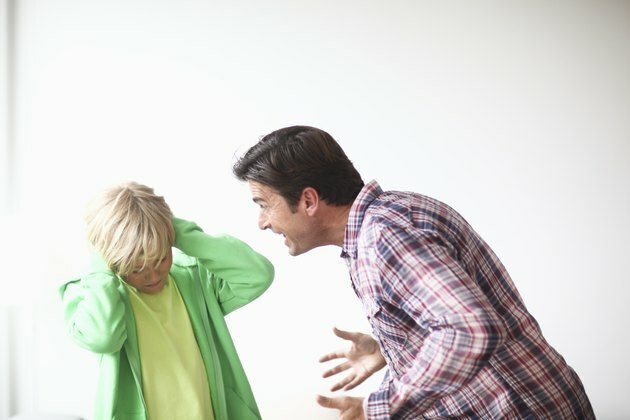 An allegation of emotional abuse of children plays a significant role in a child custody determination in a divorce, legal separation or paternity proceeding, according to "Child Custody A to Z" by Guy J. White. If you believe the other parent is guilty of emotionally abusing your children, your next step is developing appropriate evidence to prove the allegation. The process for proving emotional abuse starts by filing a motion seeking custody of your children. Schedule a preliminary hearing on your motion for custody. The hearing is scheduled either through the clerk of the court when you file your motion or the administrative assistant to the judge assigned your case. Attend the hearing and request the judge to order a comprehensive home study. A home study is undertaken by an independent, professional evaluator. The home study examines not only the living situation of both parents, but their work, social and criminal history. In addition, a home study evaluates the general health of both parents as well. The evaluator prepares a written report for the court. Request the judge to order a psychological evaluation of all parties, including both parents and the children. The psychological evaluation results in a report to the court addressing the allegation of emotional child and other relevant matters as well. Schedule a final custody hearing after the home study and psychological evaluation reports are complete. Subpoena both the home study evaluator and professional who did the psychological evaluation to the final hearing. Attend the final hearing and present the reports to support your contention regarding emotional abuse. Due to the complexity of custody cases, consider seriously retaining a lawyer to represent you in such a case. The American Bar Association provides resources to assist you in finding a suitable attorney to represent you in your case. What Are the Health Benefits of Volleyball? What Happens at Restraining Order Hearings?